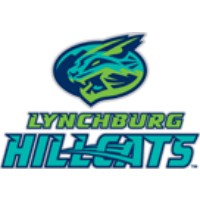 The Lynchburg Hillcats powered their way to a win on Saturday, beating the Buies Creek Astros, 3-1. The Hillcats (24-22) snap a three-game losing streak with their win over the Astros (27-22). Eli Morgan (Win, 1-0) picked up his first win as a member of the Hillcats. He pitched seven innings, and allowed just one earned run on five hits, striking out seven. Lynchburg opened the scoring in the third inning. Emmanuel Tapia blasted a solo home run, his fourth of the season, to straight away center field to give the Hillcats a 1-0 lead. Tapia was 3-for-4 on the day and finished a triple shy of the cycle. An inning later in the fourth, Conner Capel hit a solo home run, his third of the year, to extend Lynchburg’s lead to 2-0. Ronnie Dawson provided the only offense for the Astros on Saturday by hitting a solo home run to lead off the bottom of the fourth. 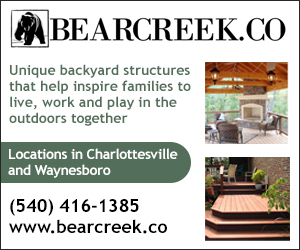 The Hillcats added a run of insurance in the eighth inning. Mitch Longo led off the frame with a triple, and Jodd Carter ripped an RBI single past a drawn in infield to stretch the lead to 3-1. Jared Robinson pitched a 1-2-3 eighth inning, and James Karinchak (Save, 3) closed it out. With one out in the ninth inning, the game went into a 9-minute rain delay before Karinchak got J.J. Matijevic to fly out to end the game. Jorge Alcala (Loss, 1-4) started for the Astros and allowed two earned runs on three hits in five innings. Abdiel Saldana pitched the final four innings for Buies Creek and allowed a run on six hits. The Hillcats road trip continues on Sunday with game three of the four-game series against the Buies Creek Astros. Right-hander Justin Garza (2-1, 2.45) will start for Lynchburg, while the Astros will send righty Brandon Bielak (3-3, 2.95) to the mound. First pitch is scheduled for 2 p.m. at Jim Perry Stadium. Max Gun will be on the air from Buies Creek at 1:50 p.m. with the Hillcats pre-game show on TuneIn Radio and the Radio434 App.